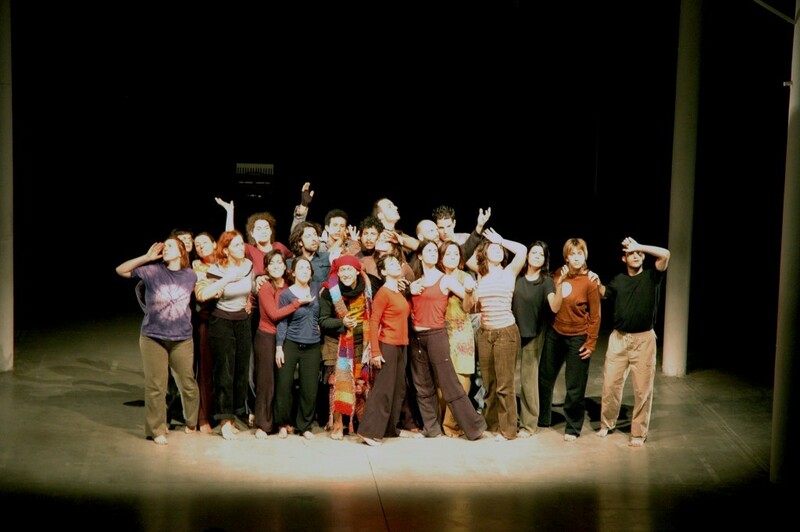 The Master in Social and Community Theatre (SCT) was born in 2002 as an idea of Alessandro Pontremoli and Alessandra Rossi Ghiglione. It trains professionals in theatrical, psycho-social, community development, planning, organization and fund raising skills with the aim of realising culture, art and social-community projects. It deals with an original professional profile defined by interdisciplinary skills in the area of culture, theatre, society and management (organization and marketing). The cornerstones of this training are: training on the field, the active partnership with national and international authorities and institutions, the high-professional profile of teachers, the creation of a network among the graduated students. The training guide idea is that the theatre could be an extraordinary experience not only for the artists, but for everyone, a group or a professional needing or longing to improve their physical, relational and creative skills, as well as for actively participate in the development of inclusive and plural culture and communities. Methodology and fields of intervention. The educational training in the Master in Social and Community Theatre is different from the traditional academic education and involves a course with a deep involvement in the job practice and with active producers at a regional, national and European level. The educational path is linked with a tutorship for entering the world of work after the graduation. Masterclass: several training plans of the Master course – with a special consideration for emerging professional profiles, as planning and organization in Social and Community Theatre, drama and planning, as well as workshops leading into the cultural diversity field – are open to social workers and auditors. These training plans are also organized with the collaboration of partner institutions. Network of graduates. During more than 10-year activities, the Master educated more than 200 students. After the educational path, the graduates and those who attended the course created cross projects and partnerships, independent professionalism was born, as well as groups, associations, institutions and companies placement. The graduates in different editions are a permanent network of qualified workers under supervision, with the aim of an intergenerational hub. The Master supports the graduates network, because its aim is to appraise this resource. It also promotes the exchange of skills and experiences, as well as the plan of common educational path among professionals. 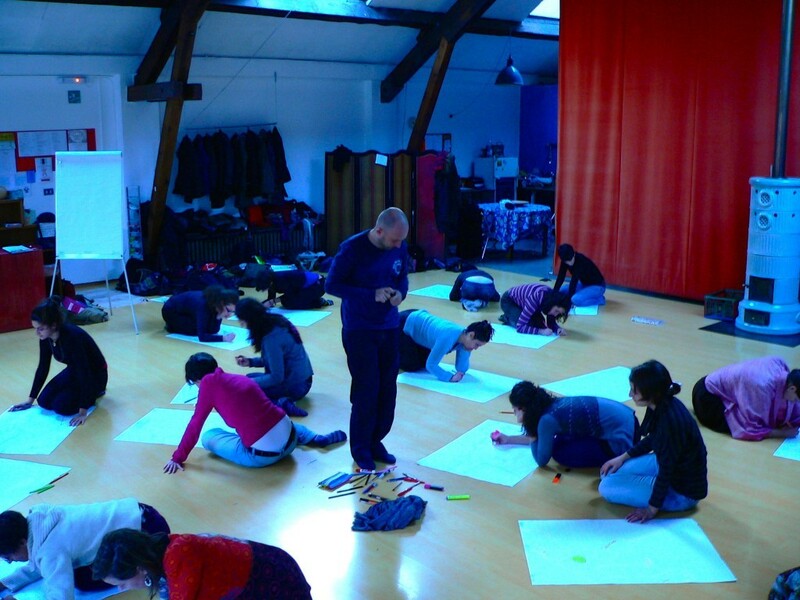 The graduates network aims to implement the quality of the interventions and the Social and of Community Theatre projects, to make innovation over and over again in the Social and Community Theatre methodology. The presence of teachers with high-professional level in addition to their scientific quality is the mark of this educational offer, strongly linked with the world of work. ALLIANCE OF CIVILIZATION – UNAOC (ONU); AMREF ITALIA; ARESS Agenzia Regionale per i Servizi Sanitari; ASSOCIAZIONE PIEMONTE DELLE RESIDENZE; ASSOCIATION K.I.B.L.A. (Slovenia); ATC TORINO Agenzia Territoriale per la Casa; ATELIER CULTURE PROJECT (Malta); ASL TO 2 E ASL TO 3, Torino; A.O. ORDINE MAURIZIANO, Torino; A.O. 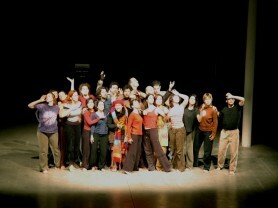 UNIVERSITARIA SAN LUIGI GONZAGA, Orbassano; BANCA POPOLARE ETICA; BIENNALE GIOVANI ARTISTI DEL MEDITERRANEO; CASA DEL TEATRO RAGAZZI E GIOVANI, Torino; CATARSI TEATRI DELLE DIVERSITÀ, Urbino; CIRCOSCRIZIONI I, VI e VIII, Torino; COMUNE DI TORINO; COMUNE DI IVREA; CONSORZIO ITALIANO DI SOLIDARIETÀ; ENTE TEATRALE ITALIANO – ETI; FESTIVAL “DA VICINO NESSUNO È NORMALE” Milano; FESTIVAL INTERAZIONI, Cuneo; FESTIVAL INTERNAZIONALE DI NARRAZIONE DI ARZO (Switzerland); FONDAZIONE A.L.D.A. (France); FONDAZIONE CRT, Torino; FONDAZIONE FABRETTI, Torino; FONDAZIONE FARO, Torino; FONDAZIONE MOLO, Torino; FONDAZIONE OLIVETTI, Roma; FONDAZIONE PAIDEIA, Torino; FONDAZIONE TEATRO STABILE, Torino; FONDAZIONE FITZCARRALDO, Torino; IOM, INTERNATIONAL ORGANIZATION FOR MIGRATION (ONU); MUNICIPAL THEATRE “VAZRAJDANE” (Bulgaria); ODIN TEATRET (Denmark); OMEOART, Laboratori Boiron, Milano; PROVINCIA DI TORINO; REGIONE PIEMONTE; RETE EUROMEDITERRANEA PER LE MEDICAL HUMANITIES; THEATER P.A.K.T. (Germany); TEATRO ATALAYA-TNT (Spain); TEATRO DE LOS ANDES (Bolivia); TEATRO POPOLARE EUROPEO (Italy); TEATER SPIRA (Sweden); SLOW FOOD Condotta Torino Città. LUCIO ARGANO, Università Roma Tre; EUGENIO BARBA, director; CESAR BRIE, actor and director; CLAUDIO BERNARDI, Università Cattolica di Brescia; ANTONIO CATALANO, Universi Sensibili, Asti; PIPPO DELBONO, director; GIULIA INNOCENTI MALINI, Università Cattolica di Brescia; CRISTINA VALENTI, Università di Bologna; ENZO TOMA, director; FRANCO LA CECLA, Università di Venezia; GERARDO GUCCINI, Università di Bologna; GUGLIELMO SCHININÀ, IOM International Organization for Migration; MICHELA LUCENTI, choreographer; MARCO BALIANI, actor and director; MIMMA GALLINA, Scuola di Arte Drammatica P. Grassi, Milano; SILVIO CASTIGLIONI, director and actor; SISTO DALLA PALMA, Università Cattolica di Milano; GABRIELE VACIS, director.